Don Medley, head of the Lab's Government and Community Relations Department (left), explains the historical exhibit in the lobby of Bldg. 50 to President Bachelet (center) while Harley Shaiken, with UC Berkeley's Center for Latin American Studies (right front), George Smoot (center right) and Jim Siegriest (behind Smoot) look on. Chilean President Michelle Bachelet, the first woman to be elected president of her country, led a delegation of high-ranking officials to the U.S. Department of Energy’s Lawrence Berkeley National Laboratory (Berkeley Lab) during a visit to California and Nevada that was intended, in part, to explore new green energy technologies. Chile is facing stiff energy challenges and President Bachelet, who campaigned on a platform that called for environmental protection and investment in renewable energy sources, came to Berkeley Lab to hear presentations on the latest in energy conservation and sustainable energy research. Severe drought and a sudden shortage in natural gas supplies from neighboring Argentina, has plunged Chile, a country that imports nearly three-quarters of its energy needs, into a crisis. While the country has begun importing coal and building liquefied natural gas terminals, President Bachelet, who is a strong advocate for environmental protection, has said that her government is looking into various forms of alternative energy sources. A $6 billion fund has been established to finance foreign study of green energy technologies. 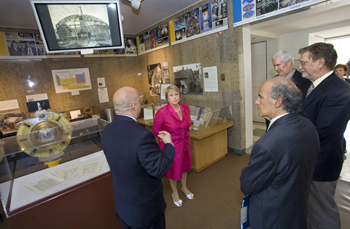 At Berkeley Lab, President Bachelet and her delegation, which included her Ministers of Energy, the Economy and Foreign Affairs, along with prominent members of the Chilean Congress, were greeted by Nobel Laureate George Smoot, along with James Siegrist, Associate Laboratory Director for General Science, and Harley Shaiken, Chair for Latin American Studies on the campus of the University of California (UC) at Berkeley. President Bachelet and her delegation were then brought to the Laboratory’s main auditorium for the presentations. Speakers included Dan Kammen, Director of UC Berkeley’s Renewable and Appropriate Energy Lab; Jim McMahon, head of the Energy Analysis Department in Berkeley Lab’s Environmental Energy Technologies Division, and his colleague, Alan Meier, an expert on “saving energy in a hurry;” Jay Keasling, Chief Executive Officer of the Joint BioEnergy Institute and an expert on advanced cellulosic biofuels; and Ramamoorthy Ramesh, a scientist with Berkeley Lab’s Materials Science Division who is an authority on photovoltaic nanosystems. UC Berkeley’s Kammen provided President Bachelet and her delegation with an overview of California’s energy successes and challenges, and discussed opportunities for collaboration with the Chilean government. While he talked about several renewable energy strategies, his emphasis was on solar power, which he said will need to become a major source if the world is to effectively impact global warming. McMahon presented the Chilean visitors with an overview on energy efficiency, which he described as “gathering the low-hanging fruit.” One of the major questions to be asked, he said, is “whether energy efficiency technologies are really worth the cost.” According to the studies of his group, energy efficiency research and development in the United States have yielded net benefits. Keasling, in his talk, gave an overview of the Helios project, a joint Berkeley Lab-UC Berkeley project to develop methods by which solar energy can be stored in the form of renewable transportation fuels. 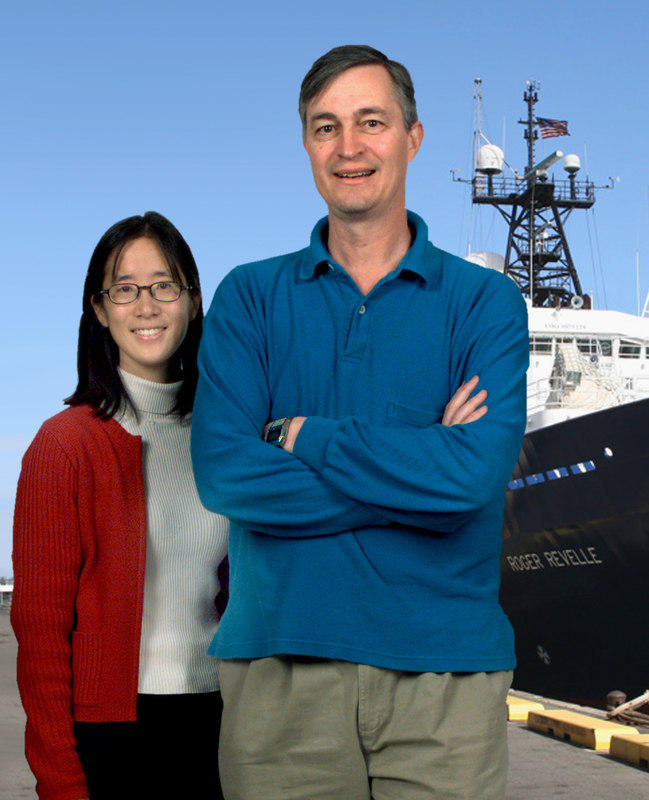 His focus was on advanced lignocellulosic biofuels, which are being studied by two Berkeley-centered collaborations. One, the Joint BioEnergy Institute, is being funded by the U.S. Department of Energy, and the other, the Energy Biosciences Institute, is being funded by the BP corporation. 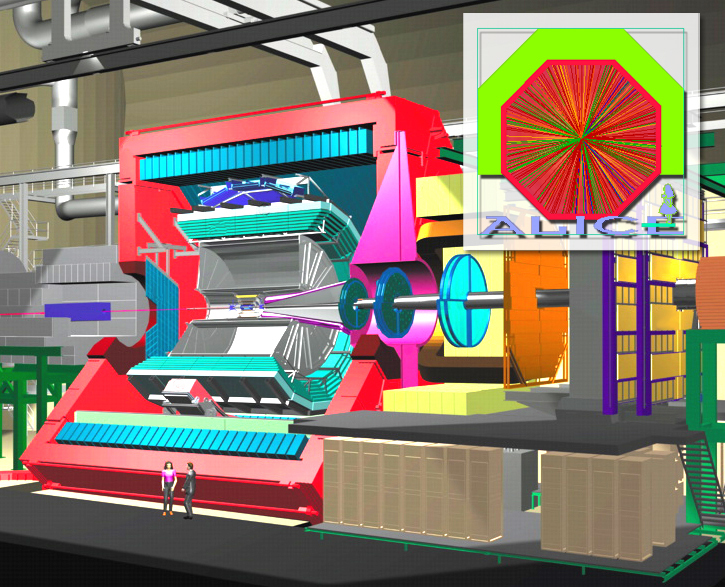 Berkeley Lab and UC Berkeley are members of both collaborations. Ramesh not only described to President Bachelet how nano-inspired photovoltaics can be used to capture the power of the sun, but why this technology could go a long way towards easing the energy crisis being faced not only by Chile, but by all other countries as well. In the final presentation, Meier explained that the rules for saving electricity in a hurry are somewhat different from achieving long-term savings, but the results from savings achieved in a hurry have proven to be long-lasting. For example, in response to a drought in 2001, the nation of Brazil, which is 100-percent dependant on hydroelectric power, mandated a 20-percent reduction in electricity use from the previous year. Combing a huge media campaign with energy conservation technologies and sanctions befitting a “national crisis,” Brazil not only achieved its goal within two months, but the savings persist today, Meier said. “There were no blackouts, the economy survived and electricity use today is still below the peak consumption in 2001,” he noted. President Bachelet and her delegation said they will be considering opportunities for collaborations with their Berkeley Lab hosts and both sides said they look forward to future dialogues.